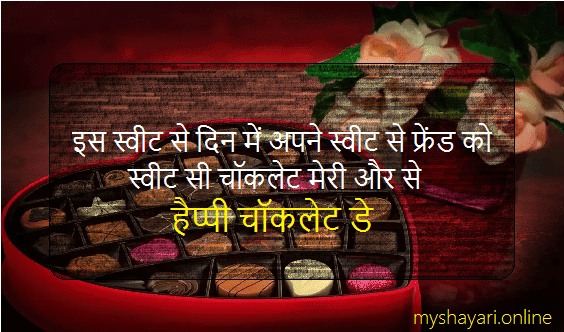 Happy Chocolate Day | If you're looking for some sweet shayari wishes like chocolates then you're at right place, here I've shared many chocolate day romantic love shayari for boys and girls. SO how were these Hindi Shayari on Chocolate day? i hope you like it and shared it with your friends. You can comment down your selected shayari and bookmark this page to read it later.